Welcome Back Heroes..a huge thanks to everyone who joined us for the last round of Super-Blog Team Up. 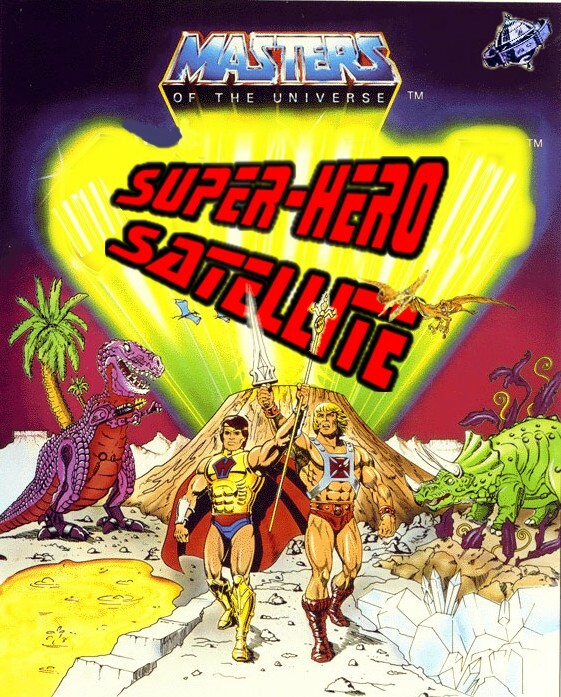 Hopefully if you were new to The Super-Hero Satellite you like what you saw and will once again join our mighty crew to race back into the glorious 1980s for more Retro adventures. 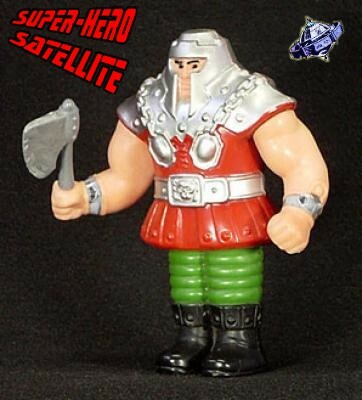 Satellite File: In 1981 Mattel Toy Company developed the first glimpse of the Masters Of the Universe Toy-line. Their plan however would blaze trails. It would be the first show based on a toy-line and TV series that would air in unison with each other. I may have been one of the biggest Masters Of the Universe in my home town. I had a great collection of figures, vehicles , Play-Sets and animals. 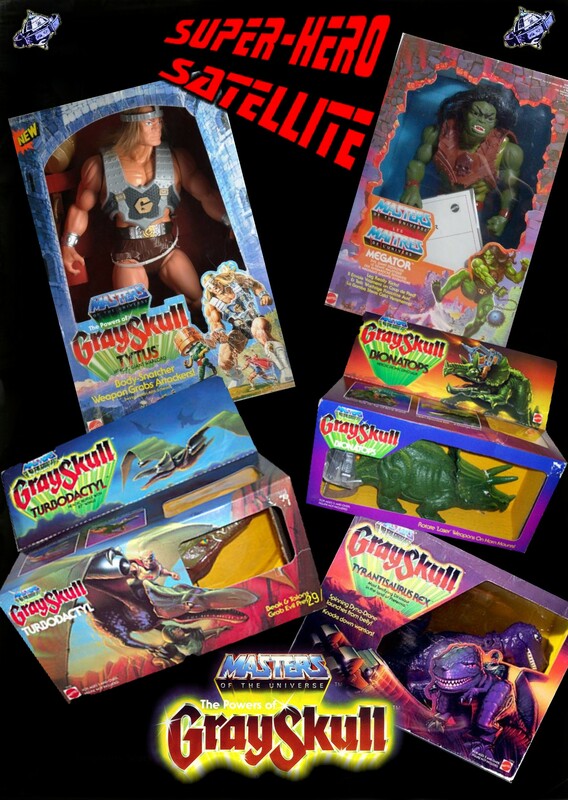 I was a big He-Man fan and the He-Man and The Masters of the Universe animated series was a staple in my home. I digested all the MOTU as I could. I devoured the television animated series from Filmation. To this day when I see the scrolling Filmation logo and chime… it means He-Man! I loved the Masters of The Universe comic books from DC and Marvels STAR Imprint. The Marvel Masters Of The Universe title maybe the single best Masters title out there and was 100% faithful to the source material of the cartoon! Plus my figure collection could stand up to anyone else’s in my home town. I thought I knew it all about the original Masters Of The Universe collection. I knew about every character..episode or comic book. If there was a trivia competition I would have bet the farm on myself…To Clarify my knowledge stopped at the original series. 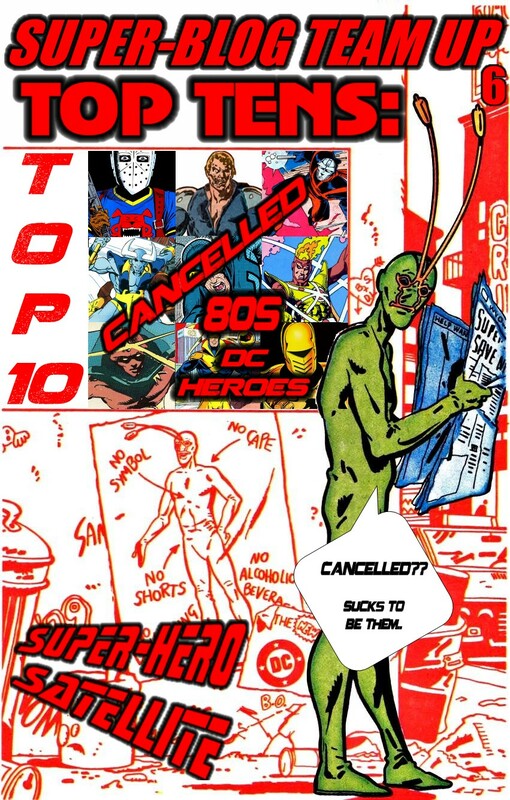 After its cancellation in the late 80s I did not keep up my level of fanaticism for the newer updated series in the 90s-2000s. 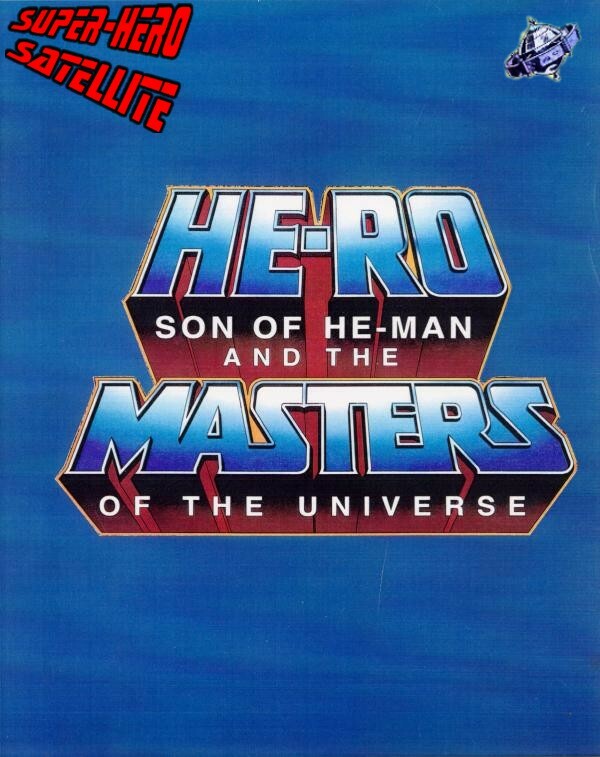 That said..I knew my stuff…that is until I heard of He-Ro: Son Of He-Man and The Masters Of The Universe?? You may as well wonder what I am talking about. After the cancellation of He-Man and The Masters Of the Universe Series a prequel(She-Ra: The Princess Of Power not forgotten either!!) was in production without He-man in the lead role! Confused? I think its time we fill our data banks with knowledge. 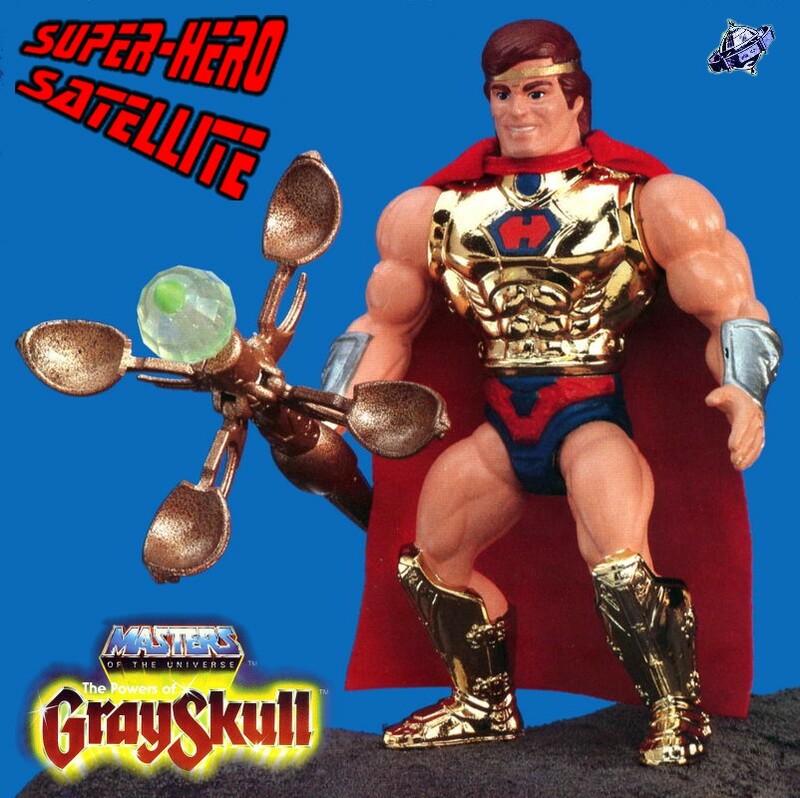 He-Ro originated as the proposed lead character of a new series “The Powers Of Grayskull”. At the very end of the Masters Of The Universe toy-line a prototype action figure of a brand new character called He-Ro…who at this point was NOT meant to be He-Mans son..but rather a relative who was not the most powerful man in the universe like He-Man..but rather the most powerful WIZARD in the universe…weird huh? “Powers Of Grayskull” would be a direct prequel to the He-Man and The Masters Of the Universe series that in the mid eighties, had reached its life expectancy. He-Ro was a figure prototype created to showcase the new lead star of the show..the Wizard, He-Ro. Interestingly enough poor He-Ro had two specific origins both totally unrelated. The first of which was as a direct ancestor of He-Man. The Powers of Grayskull show itself would be based in “Preternia” the precursor to what would become Eternia….essentially it was its prehistoric predecessor. 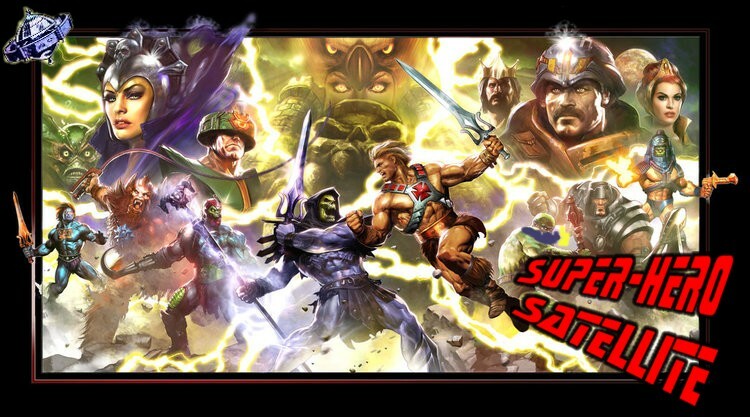 It promised to deliver the complete back story to He-Man and the entire Masters Of The Universe lineage. All He-Mans secrets would be revealed. Like He-man himself, He-Ro was the secret identity of the man known as “Gray” would hold his hand to his chest and utter the words “Magic & strength tempered by heart..I stand For Peace “ and would transform into the “Mightest Wizard In The Universe”..He-Ro! The line was cancelled before many of these properties went into the development stage. 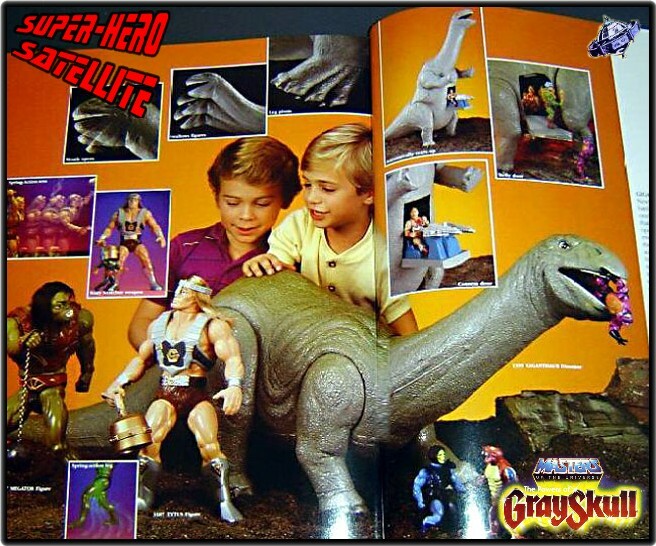 The 1987 Mattel Toy Catalog published pictures of the proposed toys from the “Powers of Grayskull” line, including an action figure of He-Ro. Three of the dinosaur toys from the line actually made it to stores, and the two “giant” action figures saw release as exclusives in Italy, but He-Ro was never released as a toy. 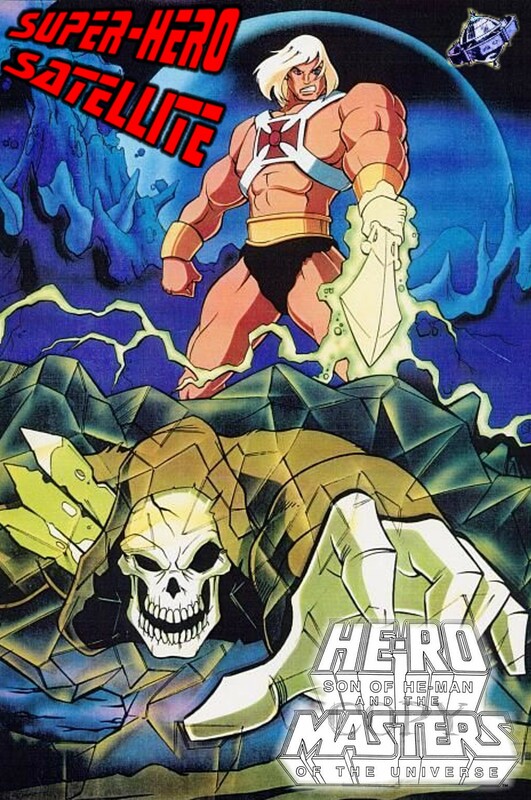 Though much has been speculated concerning the character in the intervening years by fans of the He-Man franchise, He-Ro remains as much a mystery today as he was in 1987, when a perplexed He-Man was forced to ask, “But who is he?” The show died before it was green lit and the concept was seemingly aborted..that is until Lou Shiemer, the original shows producer ,took ownership in creating a brand new sequel a few years later that would be known as HE-RO: Son Of He-Man and The Masters Of The Universe. This time the rules changed. 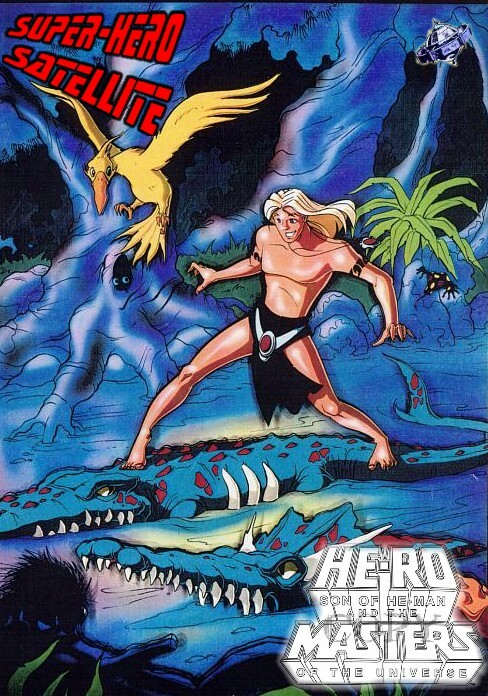 In fact everything about He-Ros origin was washed away and now He-Ro was now actually He-Mans adopted son rather than a descendant and did NOT live in the Pre-Eternian age but rather after the events featured in the original Masters Of The Universe television cartoon series. As the story goes He-Ro was raised in the plush jungles of Eternia by an indigenous creature known as a She-Bearcat who found the child shivering in the jungle and took him in as her own and raised him until his teenage years. He-Ro who took on the skills and senses of his jungle family could not only speak english but could communicate to the animals as well. He had heightened senses of speed, and smell and took on the acrobatic skills of his jungle friends and could swing through the jungle like an Eternian Tarzan. His animal mother passed on, as a result orphaning He-Ro to the Jungle once again. Meanwhile Adam , who as we all know as He-Man, is for-told of the boy who would one day take his place as the holder of the Power Sword of Grayskull. He-Man climbs aboard his friend Battle Cat Kringer and summons his trusty friends Man At Arms and Orko and heads off on a blind quest to find this folklore legend “The Lost Child Of The Jungle”. The Wild Child is No Myth..
He-Man, after the events of MOTU TV Series had defeated Skeletor and his army, had married Teela and now reigned over Eternia as King and Queen. History of Pre-Eternia and several other concepts post TV series were seemingly dropped from cannon.What is interesting is that Shiemer had written an actual ending to the original animated series in which He-man with the help of The Sorceress not only defeated Skeletor and his goons but vanquished him off of Eternia in a frozen state never to be seen or heard from again.. The Original Ending To Masters Of The Universe. That is until Skeletor discovered a way to free himself of the spell of the Sorceress and He-Man. He then gathers his original army and begins a march upon Grayskull but not before hearing the tale of the Boy would be the new Most Powerful Man In The Universe..He-Ro..or at this point, the Lost Boy. Was this a mere legend? Could this possibly be true?…Parties in both good and evil camps could not risk the other finding out. So a parallel search begins with Skeletor and his army of thugs hunting for the same mystery child that He-Man and friends are searching for!! This potentially mythical “Wild Child” was now the crux behind the power struggle for Eternia. 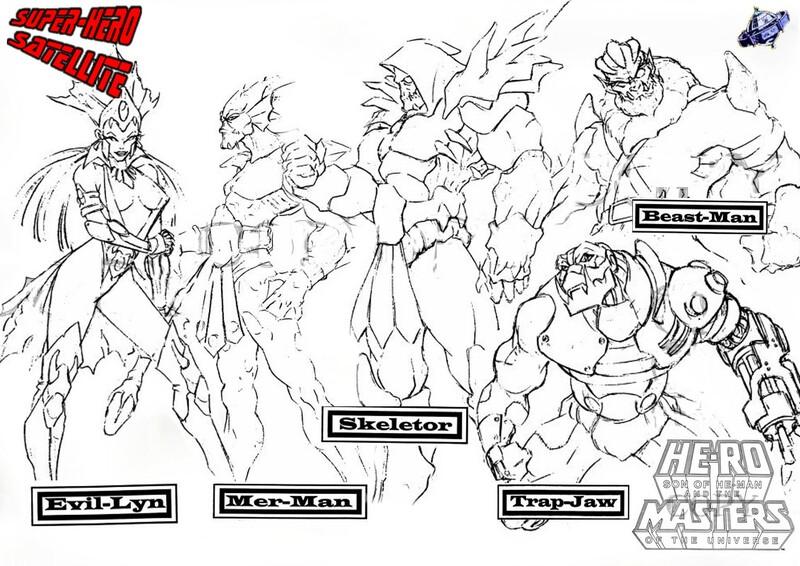 Skeletor’s hordes included some familiar faces such as his heavy Beast-Man, Evil-Lyn, the aquatic warrior Mer-Man (Who appeared to have taken on one of the most dramatic look changes) and Trap-Jaw (who literally does not resemble the mold of the original character!) Many more would be involved (not pictured) Such as ToungeLashor, Odar (Like Skunk face?? ), Missle -Toe, Evermean (a plant-based villain) and a metal toothed character named Saw Tooth. Skeletor is first to actually find the Wild Child and begins poisoning his mind right away. He tells him that He-Man and his friends being responsible for his mothers demise!!! Skeletor sets up shop on the top on the Mountains Of Fire (No Snake Mountain??) and sets a series of traps and obstacles in He-Mans path. Meanwhile Skeletor and the evil Sorceress Evil-Lyn have all but cast a spell over the Lost Child and are slowly weaning him to their dark intentions. He-Ro swears revenge on He-Man and his friends. He-Man and friends battle all of Skeletor’s hordes and manages to succeed in getting past the traps and enemies standing in the way of the child. Finally, an age-old rivalry is reborn as Skeletor and He-Man go to war one more time with the fate of the child hanging in the balance. 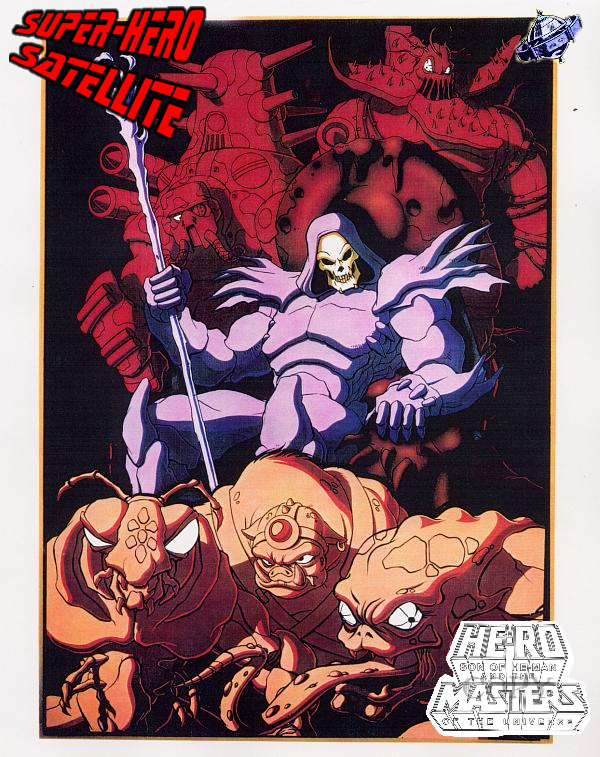 Now aligned with Skeletor and his army, He-Ro finds out in short order that Skeletor is not what he says he is. The Evil warrior brutally almost kills He-Ro’s bird friend, Craven while attempting to get to He-Man. The Wild Child lays his life on the line to defend He-Man and his friends and with all their forces combined, Skeletor and his army is driven away!! He-Man and the Eternian warriors return to his kingdom with the child. From there the boy is adopted by Adam and Teela and is named officially Dare. In an interesting note, by the age of 13 He-Ro is now resembling a hero he is able to seek the heroic transformation from Dare to He-Ro with the magical power sword bestowed to Adam years earlier. What is surprising is that only in circumstances of extreme situations He-Man and He-Ro cannot appear together..only one or the other can transform at a time. Only in dire times the dual transformations can occur as they share the power sword and repeating their individual transformation tagline and “We have the power!” . He-Ro would have lots of help defending his fathers Kingdom! 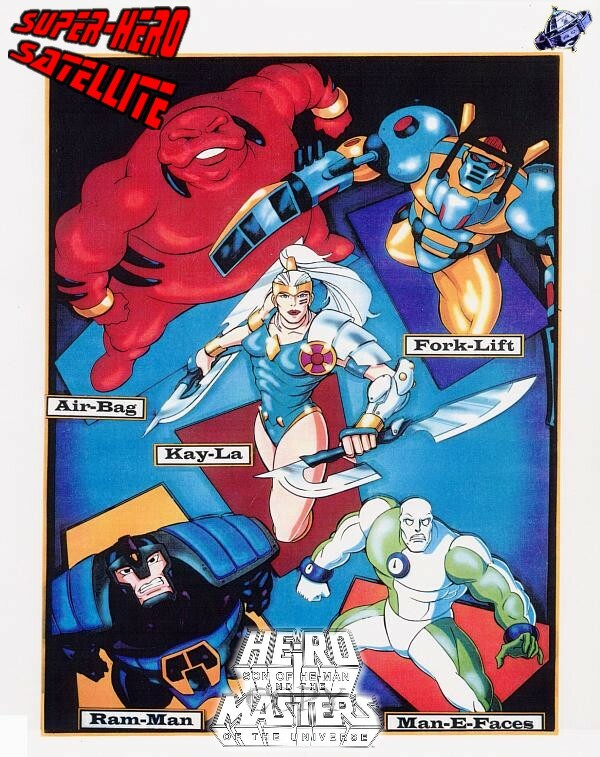 He-Ro, like He-Man in his prime was surrounded by a great supporting cast. Some familiar faces make up He-Ro’s new contingent of Eternian Defenders. 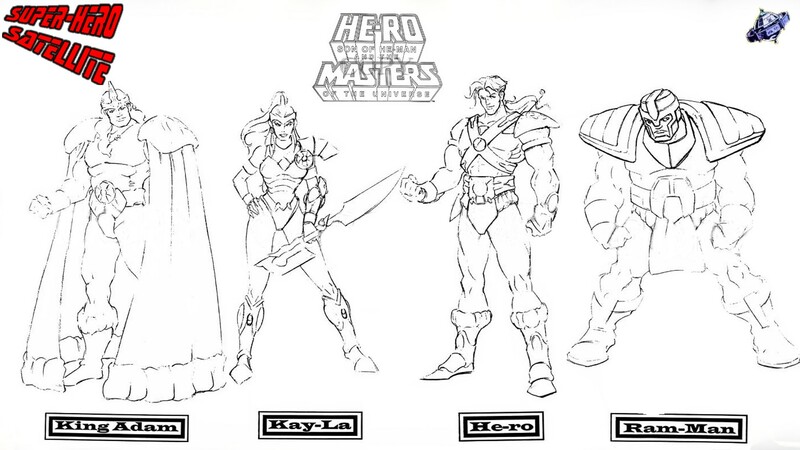 He-Ro’s answer to He-Mans love interest Teela of course would be Kay-La. Like her mother she has an affection for strong men not weaklings like Dare. Joining the supporting cast would be Ram-Man, who was a carry over from the original MOTU cartoon. He is seen in a revised state here with improved armor. As an aside Ram-Man, was always one of my favorite original MOTU action figures!! Ram-Man, A crude but great figure from the original Masters Of The Universe line. The cast included a couple of newer characters as well that would have been easy money for Mattel at the toy stores..Air bag and Forklift!! (Not so sure on the Air Bag name..but I digress.) With them as well would be a very “Metamorpho” (Editors note: Metamorpho is a classic DC comics Super-Hero) looking Man-E-Faces who like Ram-Man, was also a classic MOTU character re-imagined!! Of course old favorites like ORKO (Not pictured) would return as well!! This would be Eternia`s finest! So back to Dare and Kay-La..
Dares love interest is very similar to He-Mans and Teelas, who, not coincidentally, was the Daughter of Man At Arms. Well looks like that runs in the family as Dare is paired with Kay-La, Man At Arms Niece to be taught the ways of the warrior. At first Kay-La thinks that this assignment is a pure inconvenience but grows to respect Dare. With a new cast of Heroes we are off to the races…this new version of He-Man was ready to hit the mass market…Toy companies would have had a new batch of MOTU to line the shelves of retailers all over the world..the classic Filmation Logo would have tinkled across the screen for another trip back to Eternia ..but it was not meant to be. The concept would go no further than Lou Shiemers “He-Ro and the Masters Of the Universe Bible”..and the project was permanently shelved when the production company DIC didnt express any further interest in developing the series. fans who want to read the complete details on this project by all means check out http://old.he-man.org/cartoon/exclusivefeatures/exclusive-heroseriesbible-intro.shtml for the complete production proposal!! 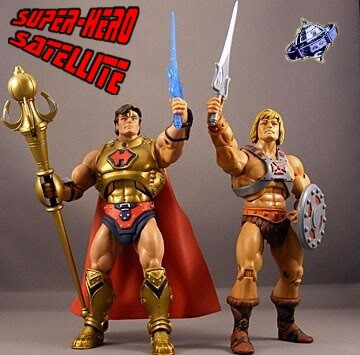 Our time on Eternia is almost done Heroes…it is time to head back to the iso-quarters of the Satellite and shut down the archives for a short time..until we return with the next installment of Super-Blog Team Up where we tackle…well..take a look for yourselves!! Take care Heroes..see you soon when the SBTU Returns for round 6! !